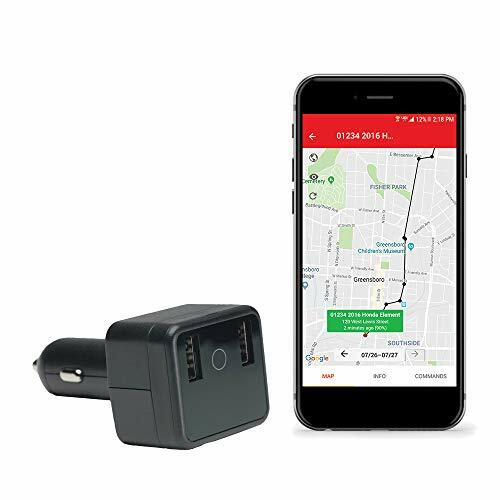 Logistimatics Car Charger Tracker with live audio is the easiest way to track the location of a vehicle or person in real time. The Car Charger Tracker is a reliable, incognito tracker that lets you hear what’s happening as you track a vehicle. The Car Charger Tracker can be used to track anything with pinpoint accuracy. Easily track any vehicle with our cloud based apps. The Car Charger Tracker can be tracked from a web browser or any iOS or Android device. See where the vehicle is right now and everywhere the car has been! The tracker is small, 3″ long x 1.59″ wide x 1″ high and 3.28 ounces. Buy with confidence. 100% satisfaction guarantee and support for the lifetime of your service. Required tracking service is $14.95/month with no contracts. IDEAL FOR TRACKING VEHICLES: Easily track any vehicle with our cloud based apps. NO BATTERY REQUIRED: Runs on car battery. Monthly service is just $14.95 with no contracts. TINY, RELIABLE TRACKER: Discreetly track cars, family members or assets in real time. Tracker is completely silent. SIMPLE, EASY TO USE TRACKING APP: Just install the iOS or Android app on your phone to see where your tracker is right now and everywhere it has been. Tagged Audio, Charger, Live, Tracker, TrackerUSB. Bookmark the permalink.